Chief of Staff Gen. Mark Welsh III is emphasizing people, not planes, as he lays out his back-to-basics approach for the Air Force. That includes a possible return to roll call, an emphasis on “real NCOs” with strong personal leadership skills, focusing on the Air Force’s core missions and instilling a culture of respect for subordinates, Welsh said at the recent Air Force Association conference outside Washington. 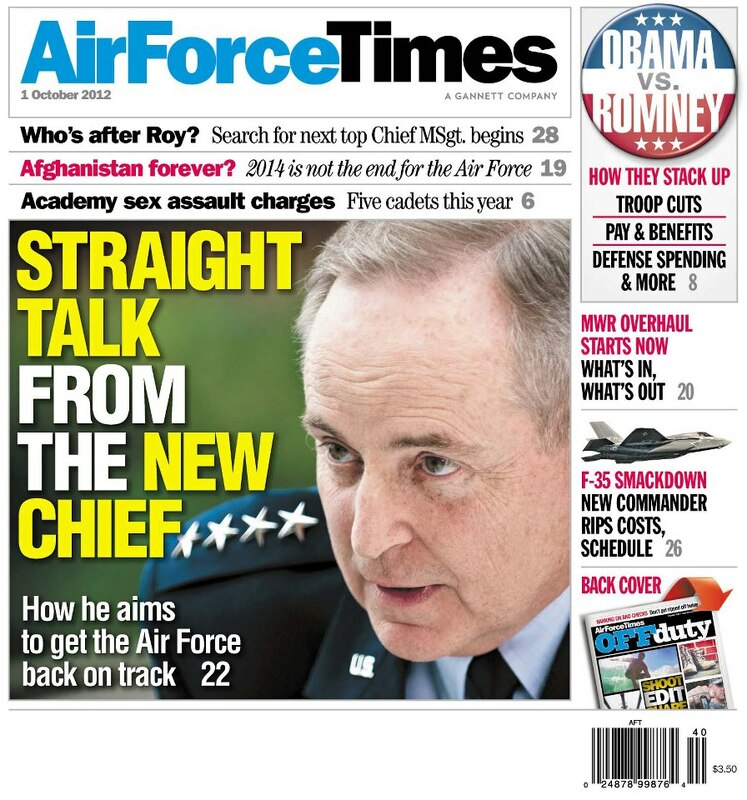 Also in this week’s Air Force Times, the head of Air Mobility Command says airmen need a rest. The Air Force needs to lay off the heavy load of professional military training and additional duties that airmen face and let them focus on their primary missions, Gen. Raymond Johns Jr. said at the AFA conference. Meanwhile, teams have been dispatched to 12 Air Force bases to look at streamlining base services and eliminating those that are not needed. The move is part of a servicewide effort that looks at base amenities. And Afghanistan’s ambassador to the U.S. says he hopes the U.S. Air Force continues to train Afghan airmen after the 2014 drawdown. The number and type of U.S. forces that would remain in Afghanistan has yet to be negotiated by both countries.